Just because a dog is a stray, some people think they can treat them any way they please. It’s one of life’s unfortunate realities, and this guy was guilty of thinking just that. 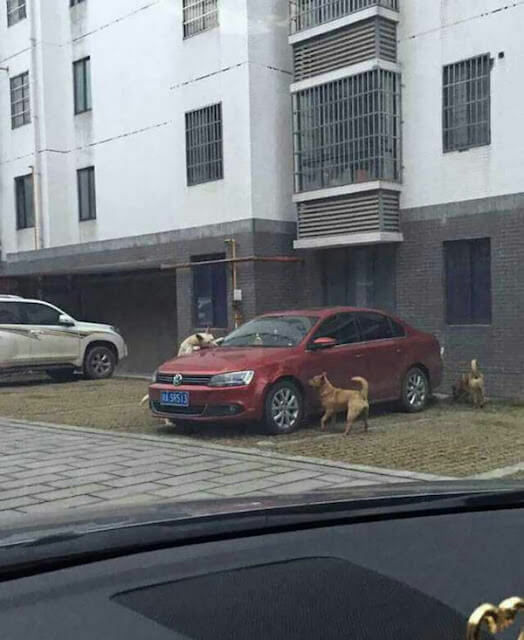 A man in Chongqing, China found a stray dog in his parking spot and decided to kick it out of there – literally. He kicked the dog until it went away. Little did he realize, his karma was going to catch up to him very shortly. Instead of trying to gently get the dog away from his space, or even trying to just make enough noise to drive it away without violence, this guy decided to kick the dog. 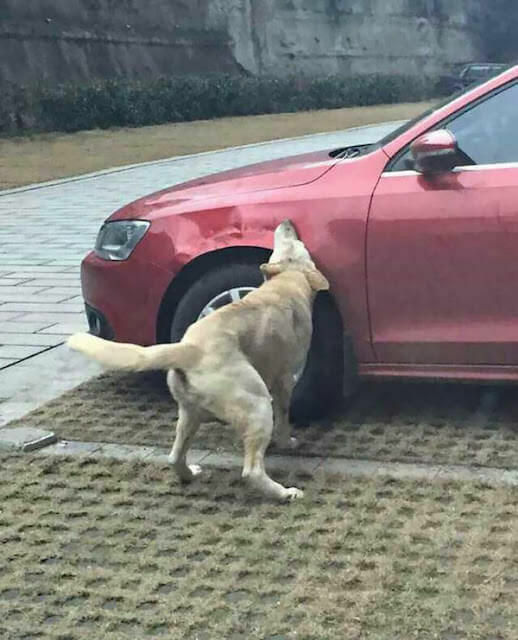 Imagine his surprise when he came back a few minutes later and saw the dog doing this to his car! That’s right! 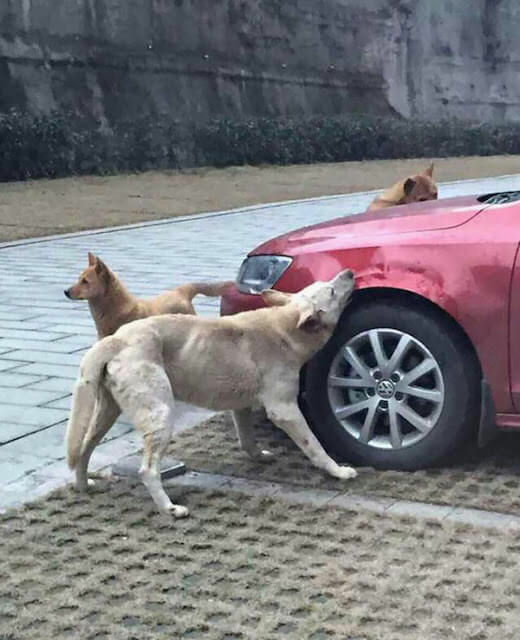 The dog went and rounded up a few buddies and they started chewing the heartless man’s car. I bet he’ll remember this the next time he thinks about kicking a dog! Check out the video below, and be sure to SHARE this story with your friends and family.